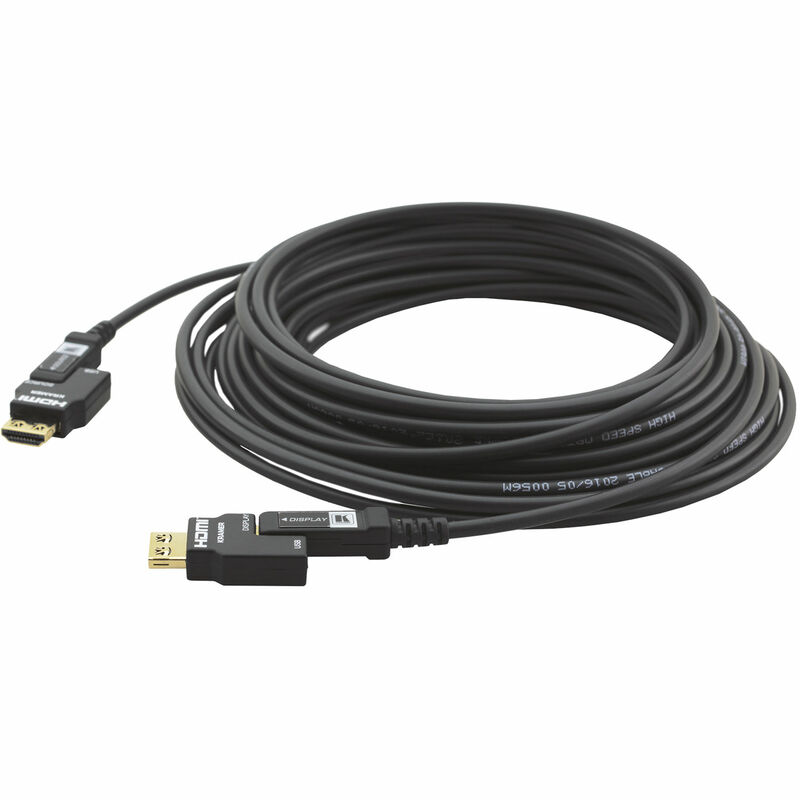 The CRS-AOCH/XL is an active optical HDMI cable for 4K@60Hz (4:2:0) and 4K@30Hz (4:4:4) resolutions over distances up to 100m (328ft). Built with a TPU-rated (thermoplastic polyurethane) jacket that has excellent abrasion resistance, tensile strength and high tear resistance, this cable can withstand the most demanding conditions in rental, staging and production setups. And it is thinner, lighter and more flexible than copper cables. The CRS-AOCH/XL includes transparent EDID, HDCP and HDR support with no signal attenuation and reduced risk of EMI and RFI interference. It's the ideal solution for maximizing signal integrity in critical AV installations. Box Dimensions (LxWxH) 10.75 x 10.0 x 3.13"